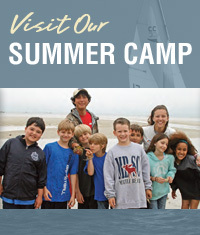 You are invited to the 20th Annual Cape Cod Sea Camps Leadership Weekend. It will be held here on the grounds of the Cape Cod Sea Camps from Friday, April 29 to Sunday, May 1st, 2016. The purpose of this weekend remains constant: to give leaders some time “on-Cape” before arriving at a later date with a group and to offer new learning and teaching opportunities about Cape Cod. The weekend is planned to provide you with time with your leadership team, the Cape Cod Sea Camps staff, other like-minded educators and encourages you to feel more at home here on Cape Cod and at the Cape Cod Sea Camps. We will begin the weekend Friday night with dinner in our charming dining hall and then gather in the Art Center. Garran Peterson, Cape Cod Sea Camps Associate Director of Group Rentals will welcome us along with Kellsie Sedlak, Group Manager. Now we go to First Encounter Beach in the town of Eastham on Cape Cod Bay after a short stop at the Cape Cod National Seashore Visitor Center. Scott Tinti, Cape Cod Sea Camps Naturalist and Historian Emeritus, has taught history to middle school students for decades and will offer some insights and program ideas about where we are exactly in reference to the arrival of the Mayflower in Provincetown Harbor in 1620. Remember – America will be celebrating its’ 400th birthday in 2020. Time now to prepare! We will get back to the Cape Cod Sea Camps campus around 1:30 and you will have some time to pursue your own special interests for the afternoon. A cocktail hour is scheduled at 6pm with a special dinner served to us in the Art Center at 7pm. As always, this weekend is free of charge and includes 5 meals, accommodations here on the grounds of the Cape Cod Sea Camps and also all program costs. If you prefer accommodations at a local “B & B” just let me know and I will send you a local directory. Keep in mind that you can be a part of any or all scheduled events. There is no need for you to attend everything or anything though most people who come participant in the whole program. The weekend is meant to be used by you in the way that best suits YOUR needs. I will note, though, that it is VERY HELPFUL to know meal numbers so our chef, Brian Holmes, can prepare properly and efficiently. Remember, too, that things are always subject to change. Also of note – Cape Cod Sea Camps will provide transportation to the Saturday program. Along with Garran Peterson and Kellsie Sedlak to speak with, there is our main dining hall staff: Brian, Doug and Sandy Holmes as well as many Cape Cod Sea Camps year round staff –and not to forget the camp dogs! I hope that you can come and be a part of our very special 20th Annual Cape Cod Sea Camps Leadership Weekend!